Meet the Huawei P30 Pro! 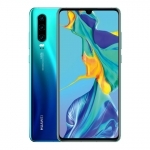 Huawei has officially unveiled the Huawei P30 Pro smartphone in a special event in Paris, France. It has a quad camera setup at the back that allows the phone to achieve an insane 50x zooming capability! 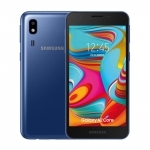 Meanwhile, the front panel is occupied almost entirely by a 6.47-inch curved OLED display and the Kirin 980 chipset powers the device under the hood. 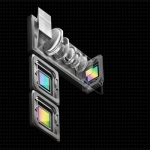 These are the cameras of the Huawei P30 Pro. 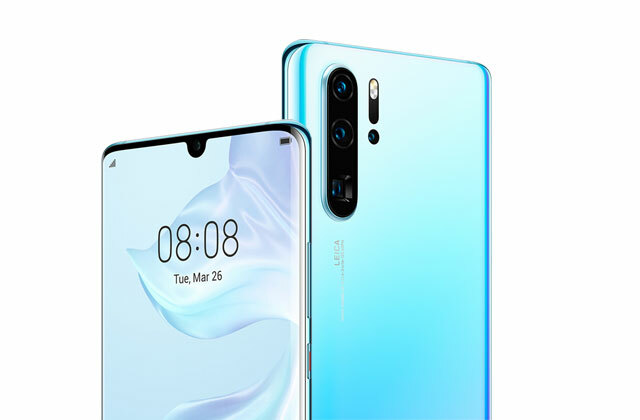 The quad camera system of the Huawei P30 Pro is composed of a 40 Megapixel main camera, 20 Megapixel ultra-wide camera, 8 Megapixel telephoto camera and a TOF (time-of-flight) camera. Most pictures will be taken by the 40MP camera at 10MP resolution since it uses pixel binning. It means it combines 4 pixels into one to create a brighter and sharper image with less noise. 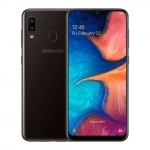 On the other hand, the 20MP ultra-wide camera can capture a wider area compared to the main camera making it perfect for landscape shots and even in macro photography. 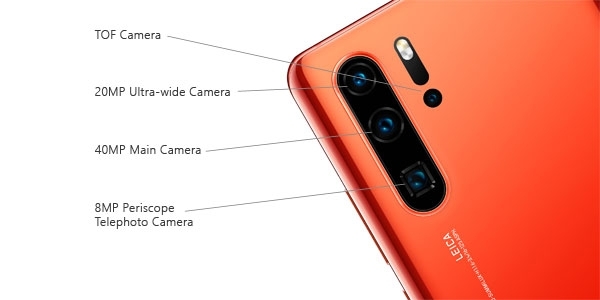 Let’s talk about the 8MP telephoto camera in the next section. Lastly, the TOF camera provides better 3D depth information dramatically improving the phone’s portrait mode where the background is blurred while the subject remains in focus. 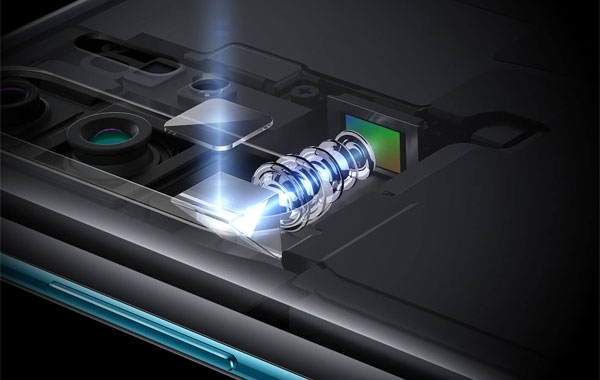 A closer look at the 8MP periscope telephoto camera of the Huawei P20 Pro. The zooming capability of the Huawei P30 Pro is primarily enabled by its 8 Megapixel telephoto camera. It has a periscope design which means it uses a prism to bend light by 90-degrees. This allows it to have a longer focal point (and hence, more powerful zoom) since it’s not limited by the phone’s thin body. The camera also has optical image stabilization or OIS to counteract shakiness. This is specially useful since small hand camera movements are multiplied when zooming. The actual optical zoom capability of the camera is 5x. The Huawei P30 Pro uses AI and other software enhancement to turn it into 10x without decernible loss in quality. But Huawei doesn’t stop there and allowed the Huawei P30 Pro to zoom-in up to 50x! Of course, the quality isn’t the same as the camera’s natural 5x zoom or 10x hybrid zoom but it gets the job done when users want to see what’s going on in a distance or even photograph the moon. Speaking of the moon, the Huawei P30 Pro has more powerful low-light photography than last year’s Huawei P20 Pro! It has up to 409,600 ISO enabling users to “capture beautiful moments like a romantic candlelight dinner or fireflies dancing in the bushes”. 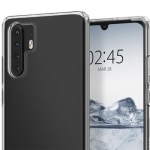 Huawei demonstrated this by comparing the actual photographs taken by the Huawei P30 Pro, iPhone XS Max and Samsung Galaxy S10+ during the launching event. Needless to say, the P30 Pro produced a bright photo while the other phones had barely visible objects in darkness. 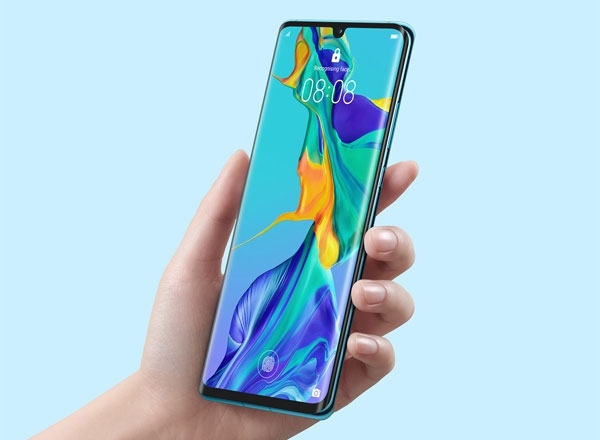 The Huawei P30 Pro’s curved OLED display. 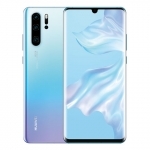 The Huawei P30 Pro has a 6.47-inch OLED display with a resolution of 1080 x 2340 pixels. 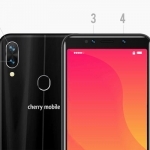 It has a smaller notch compared to the P20 Pro that houses the phone’s 32 Megapixel selfie camera. However, it also lost its secure Face Recognition sensors with this choice. On the positive side, its fingerprint sensor is now found underneath the display. The user simply has to press a finger on the screen to unlock the phone. 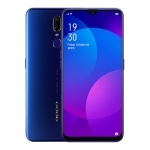 The Kirin 980 chipset powers the Huawei P30 Pro along with either 6GB or 8GB of RAM and EMUI 9.1 (based on Android 9 Pie) software. It’s not as new as the Qualcomm Snapdragon 855 but it still a powerful chip with the latest 7nm process. It also has a 2.6GHz octa-core CPU, dual NPUs for A.I. applications and a Mali-G76 graphics processor. There are three storage choices for the device – 128GB, 256GB and 512GB. All have a NanoMemory card slot for additional 256GB of storage. A 4200mAh battery powers the Huawei P30 Pro. 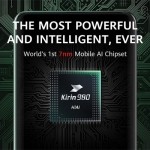 The phone’s EMUI 9.1 software uses A.I. to improve battery life by closing unused background processes. It supports the 40W Huawei SuperCharge technology and promises charging speed of 70% in 30 minutes. There’s also wireless charging and reverse wireless charging. 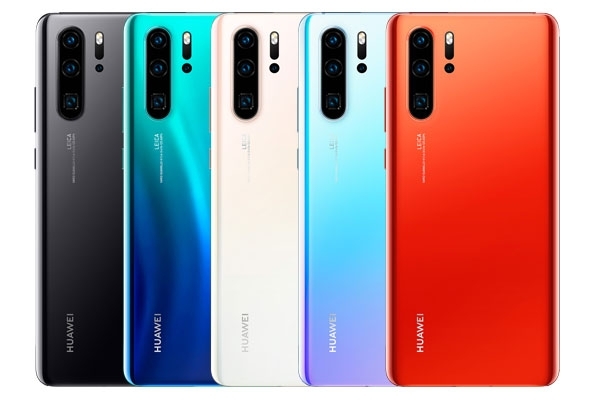 Huawei P30 Pro color options. The official price of the Huawei P30 Pro starts at €999 for the 8GB RAM & 128GB storage variant. It’s now available for pre-order in Europe. 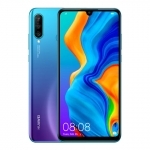 Meanwhile, the Huawei P30 Pro with 8GB RAM & 256GB storage has a price tag of €1,099 and the version with the same RAM but 512GB storage costs €1,249. No pricing has been announced for the Philippines yet but it’s local launching will be in April 2019. Average rating of 4.3 stars from 75 users.